The time-honored camping tradition becomes even more fun at KOA. For 50 years KOA has been offering the perfect, convenient getaway and the opportunity to spend quality time with family and friends in a safe, clean and fun environment. As North America's camping leader, only KOA offers online reservations, clean restrooms, playgrounds and pools, and a variety of lodging options from level RV sites to exclusive Kamping Kabins. In fact, for millions of campers, only the KOA name has come to mean home-away-from-home. KOA offers a chance to enjoy freedom in unique, scenic places where fun can always be found at any of North America's over 450 KOA Kampgrounds. Visit KOA.com to stay where thatTripUSA stays! 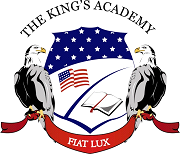 The King’s Academy is a nationally recognized private Christian school serving approximately 1,200 students from preschool through twelfth grade and is accredited by the Southern Association of Colleges and Schools, the Association of Christian Schools International, and the Florida Association of Christian Colleges and Schools. The King’s Academy serves students and their families across Palm Beach and Hendry Counties at its main campus at Belvedere Road and Sansbury’s Way in West Palm Beach, Florida its Clewiston campus on Caribbean Avenue, and its satellite preschool campuses in Greenacres, Palm Beach Gardens, and Royal Palm Beach. Palm Beach County local news and more from ABC TV's local affiliate in West Palm Beach, Florida, WPBF - West Palm Beach's Channel 25. Visit WPBF.com for breaking news and headlines from West Palm Beach, Florida. The King’s Academy Online prepares middle and high school students for college success. Enroll full-time and earn an accredited high school diploma from The King's Academy, or part-time to supplement a traditional school or homeschool curriculum. TKAO offers over 120 engaging online high school and middle school courses, college credit with over 140 advanced placement and dual enrollment courses, an accredited high school diploma (ACSI, SACS, and FACCS) from a nationally-recognized Christian school founded in 1970, and a standards based curriculum in a fun, safe, highly interactive learning environment. Our beautiful rolling 50 acres in Maryland provides a calm retreat from the busy city life and interstates. We are close enough to the major metropolitan areas of Washington, D.C. and Baltimore for you to see the attractions and far enough away for you to relax and enjoy your valuable family time. Visit CapitolKOA.com for reservations at the Kampground where thatFamily loves to stay. RideFi was developed by a couple of dudes who were taking a road trip. As the first dude thought about how behind he was at work, he couldn't go the four hour trip without an internet connection or he'd be in deep trouble. He decided the best thing to do was to take his luxury SUV, rewire the thing as a Wireless Hotspot and create the equipment necessary to apply his vision. Without going into too much detail regarding the engineering (and the sheer craziness of almost destroying the electrical system of a $60,000 vehicle), RideFi was born. The time has come where wireless internet services are an absolute must for all of us. So ... you're welcome!